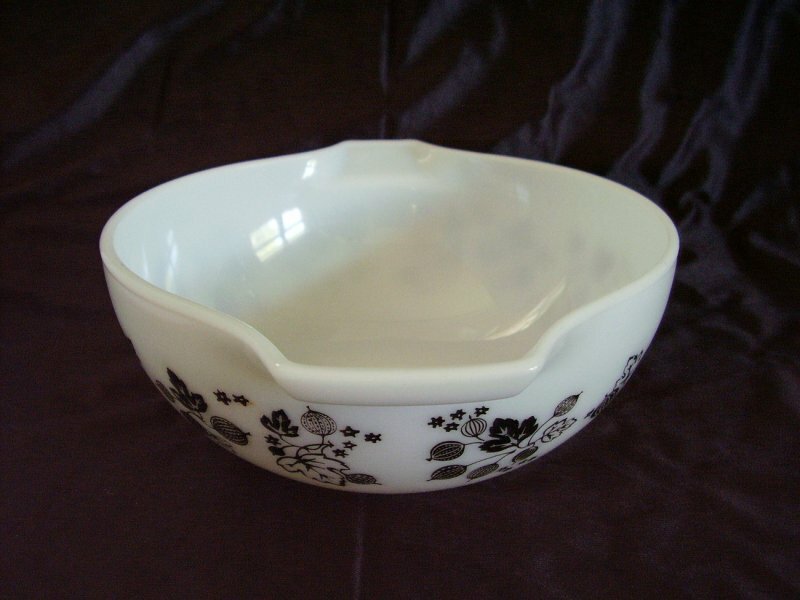 Classic vintage Pyrex Cinderella style glass mixing bowl in the black Gooseberry pattern, #443. White bowl with black Gooseberry leaves (looks like grape leaves) and berries with small Gooseberry flowers. 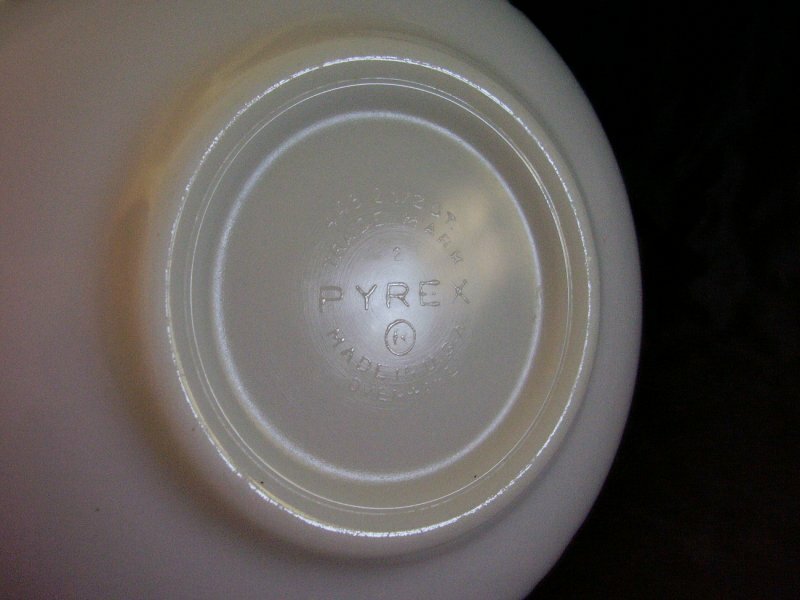 Pattern was manufactured starting in 1957. The bowl holds 2 1/2 quarts. 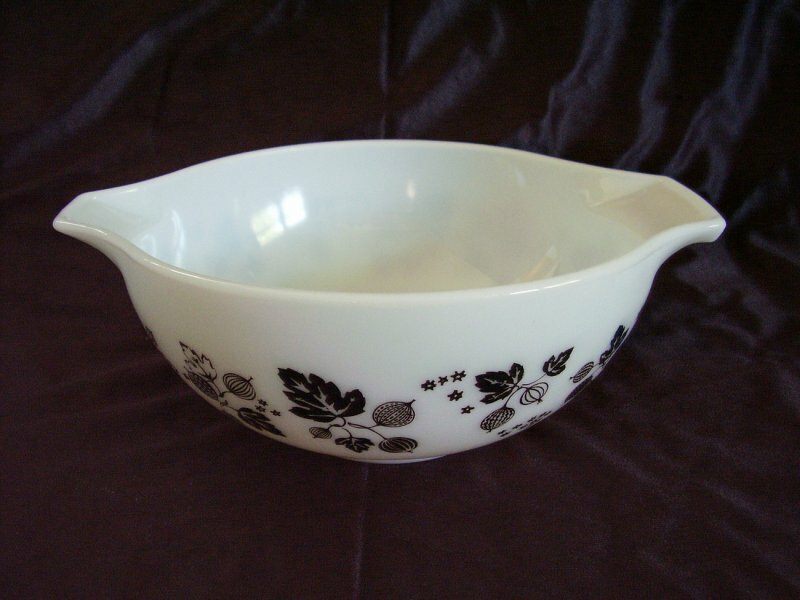 Classic vintage Pyrex Cinderella style glass mixing bowl in the black Gooseberry pattern, #443. 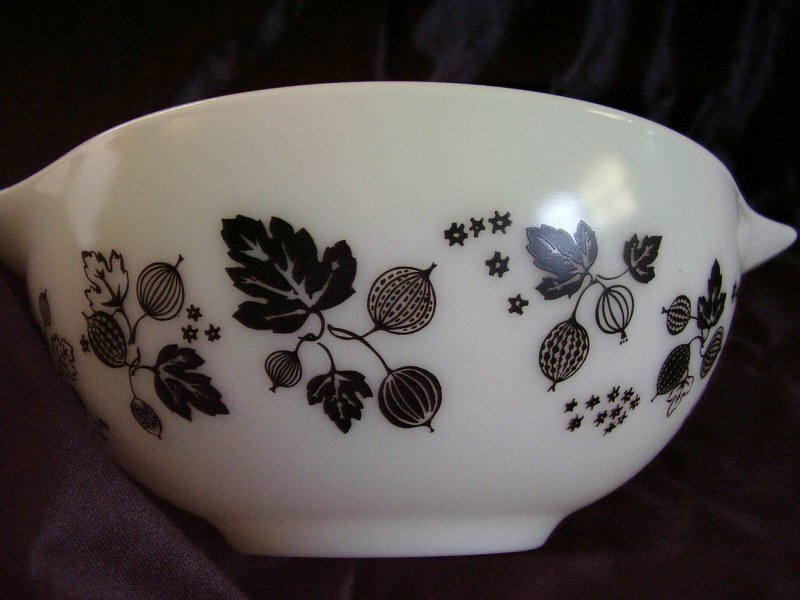 White bowl with black Gooseberry leaves (looks like grape leaves) and berries with small Gooseberry flowers. Pattern was manufactured starting in 1957. The bowl holds 2 1/2 quarts. Measures 10 7/8 inches across the handles and is 4 inches tall. Made in the USA. In gently used condition, the interior has some utensil marks and the exterior has some minor scuffs. Decals appear bright and intact.